Blog - Swine Flu Is Spreading Rather Rapidly. Here Are Some Rare Facts To Keep In Mind To Protect Yourself And Your Loved Ones. Swine Flu Is Spreading Rather Rapidly. Here Are Some Rare Facts To Keep In Mind To Protect Yourself And Your Loved Ones. Swine flu or H1N1 is a respiratory disease that is caused by the influenza virus. This infects the respiratory tract of the pigs. Although earlier it used to spread only amongst pigs, it has now started to spread in humans too. Swine flu is contagious and spreads quickly through humans. The virus travels through air, mucus and saliva particles. So it is advisable to cover the nose and mouth during sneezing it can simply spread through air. Swine flu and seasonal flu symptoms are similar. These include cough, fever, headache, sore throat, muscle pain, chills, vomiting or diarrhoea. These are early symptoms and any person experiencing these must immediately see a doctor. Swine flu if treated early can be completely treated. People who are highly prone to this disease include children below three years of age, pregnant women, adults above 60 years of age, patients with heart disease, lung disease, asthma, diabetes or those with very weak immune systems. If you feel that you have the early symptoms of Swine flu then contact a doctor immediately. It can be diagnosed only through a lab test that helps to identify the particular antigens associated with the virus type. Oseltamivir or Tamiflu, is the recommended anti-viral drug which helps treat swine flu. Adult and kids can get themselves vaccinated as a preventive measure. 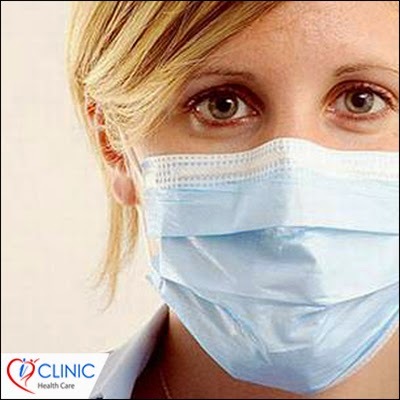 Now seeking any kind of specialist advice for swine flu is easy thorough iClinic Healthcare online services. People staying in the remote areas or busy working professionals can easily connect with a doctor and seek reliable and quick consultation. The online services include 24/7 online doctor, written medical advice, video call with specialist and ask a doctor, that are quick and hassle free. The services are affordable and patients can easily discuss their medical conditions through a click on their mobile or laptop.